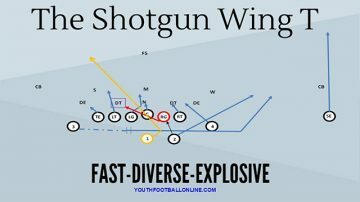 Organization: NW Georgia Youth Football League; New Hope Eagles and MAYFL Atlanta Vikings. Goals: Win his league’s Super Bowl, become an NFL player and get a good education. Meet our newest Youth Football Online All-Star selection- Harrison Bailey. Harrison Bailey is not only a great youth football quarterback- he is an excellent leader. Even at Harrison’s young age he is excelling at the quarterback position in the state of Georgia. Harrison is the definition of a student athlete. Harrison has a complete understanding of the importance of getting an education as well as playing sports. He has attended several camps and currently works with highly regarded QB Coach Ron Veal. Harrison credits a lot of his throwing skills to his QB coach. Harrison has been selected as a Youth Football All American two years in a row by O-D.com (offense-defense). Harrison was nominated for Player of the year by borntocompete.com. Harrison has also been chosen as a “Prime Time Kid” by borntocompete.com and Deion Sanders. Check out Harrison’s “Prime Time Kids” video on youtube. Harrison has great dedication, character and athleticism. Harrison is a leader on the youth football field- leading his team with energy and passion. Harrison is a real competitor, a true quarterback. Harrison has great size and weight for his age; Harrison is 5’2” tall and weighs 108lbs. He is also a pretty solid middle linebacker; he averages several tackles throughout a game. Harrison plays basketball to stay in shape for football, during the off-season. Harrison is not just an excellent football player, he also shines in the classroom. Harrison understands the importance of doing well in school. Harrison stated during our interview that, “school is more important than football”. Harrison is well known throughout his school and is well respected. Bullying has been in the news lately mainly due to how kids are interacting via social media. You may of heard of the horrific story of the Rutgers student who ended his life due to a bullying incident. Harrison befriends kids that get teased or picked on. “Harrison takes them under his wings and helps them”, his father Orvell said during our interview. We support organizations like Stop Bullying Now and we encourage kids in youth sports to stand up against bullying. Past and present teachers rank Harrison as their favorite student. Harrison works hard in the classroom, speaks and acts with great respect. During our interview he broke down several of his youth football plays with great detail. 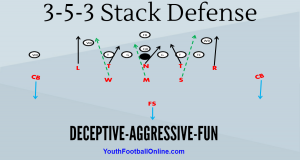 I have never talked to a youth football player, of his age, that was so knowledgeable about the game of football. Harrison’s successes in athletics and in school comes from excellent parenting. Positive parenting is crucial for positive development. Harrison is selected as a YouthFootballOnline.com All-Star for his excellent character and his football accomplishments. Harrison is a dominant youth football quarterback and linebacker. He plays with great heart and passion. Harrison is a great leader and has all the qualities along with a great work ethic to be a successful quarterback going forward. Harrison excels in the classroom; fully focused on his education. Harrison the sky is the limit for you! Keep working hard, keep up the good work in school. You have a great family base that is supporting you. You have great talent and potential in athletics. You have all the elements that are needed to develop life successes. Y.F.O thanks Harrison and his dad Orvell for spending time with us. Congratulations on being selected a YouthFootballOnline.com All-Star. all around great kid, student, and football player! thanks for the info and insight for the game of football and its importance on our youth! Harrison, mommy is so very proud of you. You are a wonderful kid on and off the field. Keep looking to the future, continue to work hard and study hard; and your dreams will be yours for the taking! Never forget who you are, always remember where you’ve been, and don’t stop working to get where your going…….